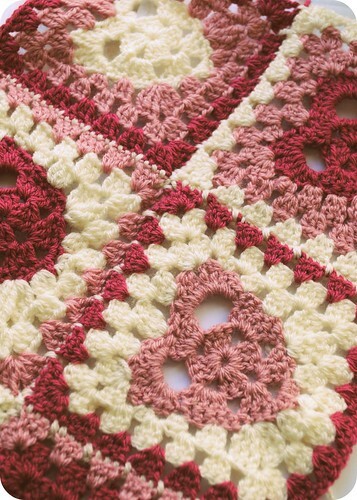 With valentines on my mind the last few weeks, I have been working on lots of hearts. 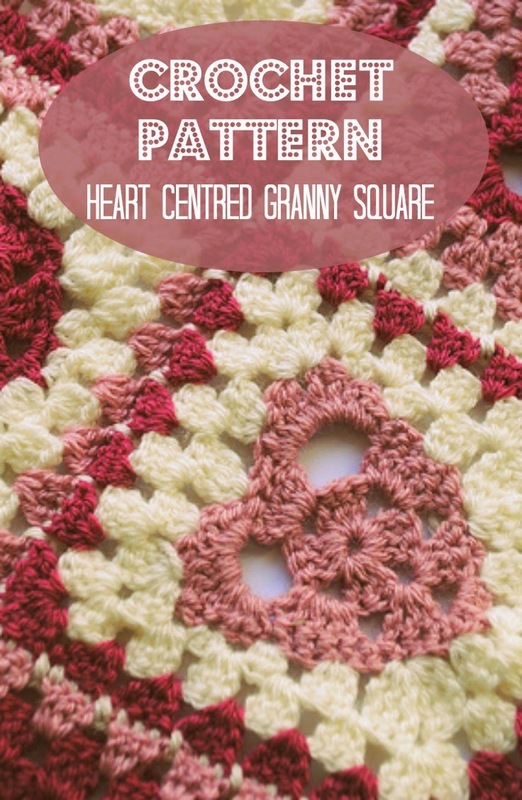 After searching about a bit, I couldn't see any granny squares which incorporated a heart that I liked. After a few failed attempts and a bit of patience, I came up with my own. 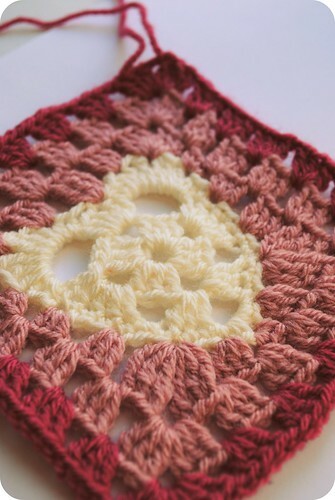 Please note this pattern is written here in english crochet terms, which differ from american crochet terms, there is a fabulous table here which gives translations of all the stitches I've use here. 3 x contrasting balls of double knit weight yarn.